Tattoos liven up a body by adding colour and style to it. When tattooing, your body becomes a canvas where you can pour your mind out. They may be inked as a reminder of a special person or a memory or simply because you liked a design and felt adventurous enough to ink it on your body. 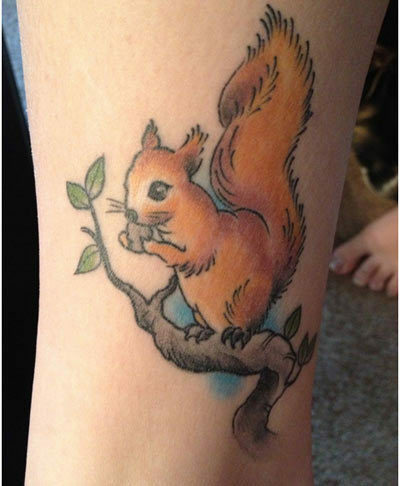 The ankle is the best place to get a tattoo. It looks simple yet artistic and especially charming when worn with heels or slippers or ballerinas. 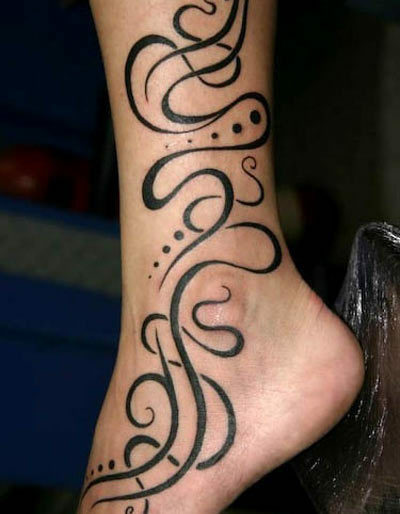 Here are ten ankle tattoo suggestions. 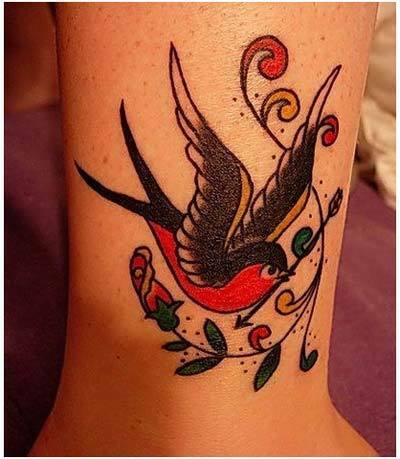 A bird ankle tattoo for girls is actually a wonderful idea! Birds of different species symbolize different things. The eagle symbolizes power whereas the dove symbolizes peace. This is a tattoo where there is a lot of scope for innovation and creativity. You could surround the bird with twig or place it in a mountainous environment. Either way this tattoo would be a fabulous one to ink. Wings symbolize freedom. Wings on an ankle would mean a lot, especially to a runner. 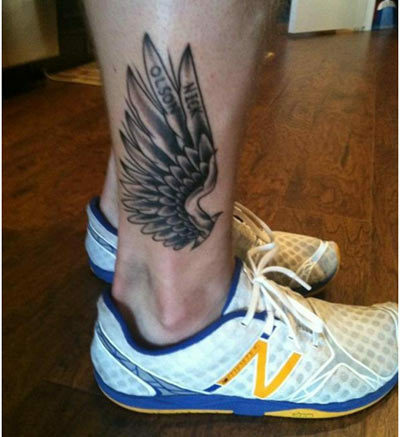 It would symbolize that your feet have the strength and stamina to fly while you run. Wings on your ankle could also mean that you are not bound by chains and rooted to the ground but have the freedom and ability to soar and fly. Squirrels are cute and adorable. They also represent speed and agility and are thus great ankle tattoos to ink on. 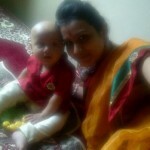 A word which has a special meaning to you would be wonderful to ink on your ankle. The word may be inked in black or in colour. 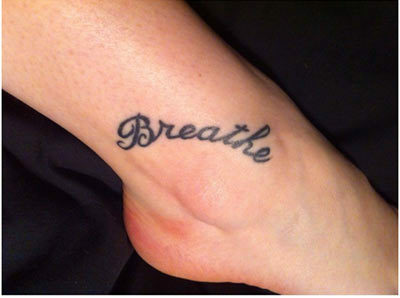 It would make for a very flexible tattoo since the font and size would be adjustable. 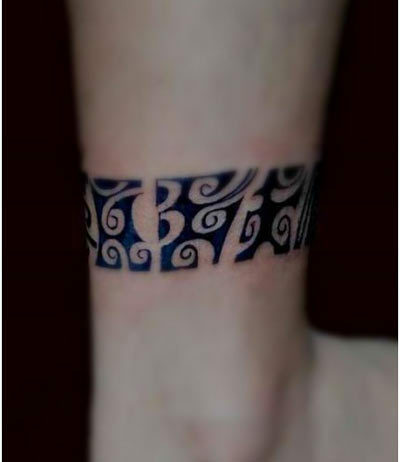 A tribal design or an abstract design would be a very artistic way to decorate your ankle. This would look magnificent, especially when worn with slippers or open ended shoes and knee length pants or frilly sun dresses. Tattoos are a way to uniquely brand your body. When it comes to the ankle, a tattoo should represent freedom or growth. 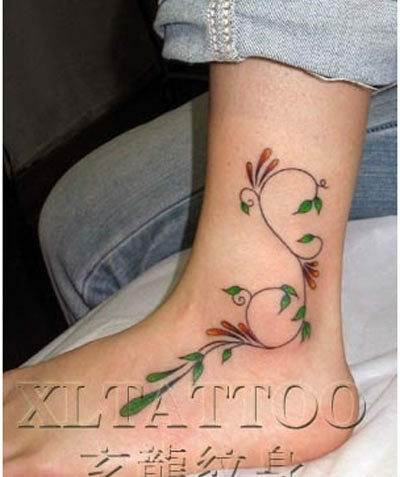 This is why a leaf patterned ankle tattoo would look absolutely gorgeous on any ankle. 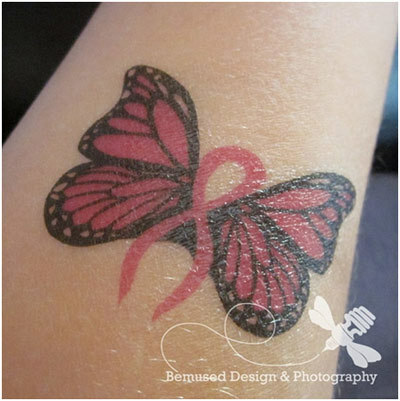 Colour is not a necessity and the tattoo could be left in simply black and white. Floral patterns can be a great touch to any ankle. 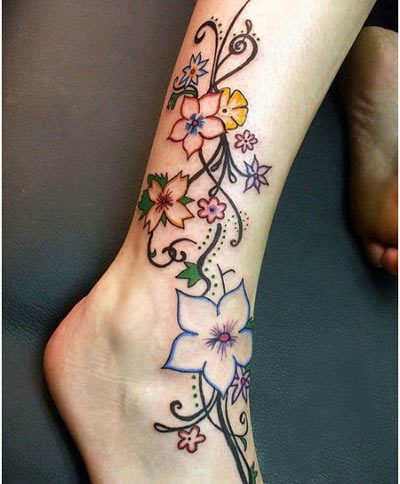 There are many flowers that can be tattooed and in various colours. When it comes to floral tattoos for women, the options are limitless. Geometric or symmetric tattoo designs add a uniform touch to the creation. When made around an ankle, this could act as a decorative anklet. A cross is not only a religious symbol but also a style statement. 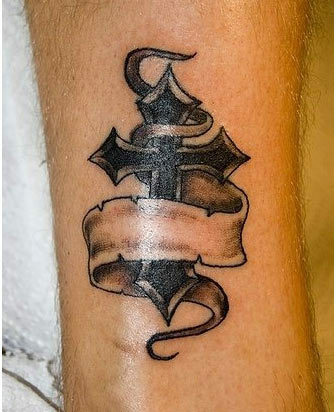 That is why a cross tattoo would look wonderfully stylish on an ankle. The tattoo could be livened up with colour but would look best if left in black. Butterfly tattoos are considered childish by many. On the contrary, they represent freedom and beauty. Their wings are a sign of creativity that can only be gained once an individual breaks free from his cocoon. Find more interesting tattoo designs on this tattoo app.